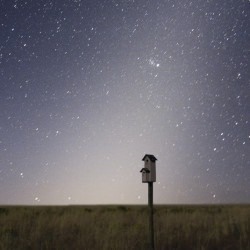 The night sky, from a dark location, is filled with many sights full of wonder to urban dwellers: the slow moving glint of a satellite solar array, the flash and occasional sonic repercussion of a meteor flailing overhead, the arc of combined luminosity from the Milky Way’s remote suns and the glow from high altitude cirrus present in Earth’s atmosphere. But at certain times of the year a few hours after sunset or before sunrise, a soft triangular shape will appear from the horizon extending upward that may lead you to believe the moon or the sun is about to rise. This explanation has passed through the minds of observers since antiquity and is called the false dawn… but, it is another thing altogether. The Sun rules over a vast empire in the sky and around it circles a cortege of loyal subjects – noble planets with waists of varying proportion, their attendant moons in tow like guards and helpful servants, countless asteroids which make up the sky’s gentry and intermittent tourists on holiday from the kingdom’s outer provinces- the comets. But in between the sun and just outside the influence of Earth’s orbit is a vast cloud of interplanetary dust– crumbs fallen from the table during the feast of the solar system’s creation. Each tiny particle may be separated from its neighbor by up to five miles, thus this nebula is very thin. But its presence is apparent when sunlight glints off each fragment and you are standing beneath an exceptionally dark, clear night sky at the right time of the year. Because the dust that creates this phenomenon resides within the same plane as the planets, it projects itself against the same constellations that the planets also pass, thus it is now known as the Zodiacal Light. For those in the Northern Hemisphere, the best time to see this unique apparition is a few hours after sunset in the west between February and March and a few hours before dawn during October, over in the east. If you live in the Southern Hemisphere the best western view is during the evening from August to September or in the east during the early morning hours throughout April. Over time, the dust that forms this cloud slowly spirals inward toward the sun. It is believed that the cloud regenerates itself from the debris that results in the collision of larger orbiting particles and from the tails of comets. This exceptional picture of the Zodiacal Light was recently produced by Tony and Daphne Hallas from a location at Modoc Plateau, which lies in the northeast corner of California as well as parts of Oregon and Nevada. This area is one of the darkest sites in the continental United States and is home to a mile-high expanse of lava flows, cinder cones, pine forests and seasonal lakes. Daphne and Tony took this image with a Canon 20D digital camera using a 16-35mm f/2.8 lens.